The Parry Sound Amateur Radio Club was formed in 1992 By Members of the Playland Amateur Radio Repeater Association. Playland Amateur Radio Repeater Association was born to provide the repeater that we all know as VE3RPL. Without the help of founding members VE3RPL Repeater would have never happened. ◾provide an opportunity for amateur radio operators to socialize, learn and help each other. Members of the Club are involved with various public service and emergency preparedness activities. 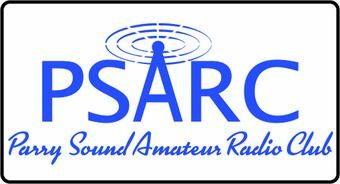 PSARC is an affiliate club of Radio Amateurs of Canada (RAC). PSARC Is a not for Profit organization we operate with donations from the club members to make our events happen. If you would like to donate please use the contact Us Page. If you are wanting to donate your unused Radio equipment we would be happy to accept. We have the knowledge and resources to refurbish and put items into good use. To use for club activities or to show new members to the hobby how to use properly.